It has been a rough couple of weeks, projects have been crashing, i have been struggling with some of my intimate relationships. And a couple of days back when things got bad and i was in the Twin Oaks courtyard i asked myself “Who should i go see? Who will make me feel better?” And i remembered that Willow was with Trout down at the pond fishing. 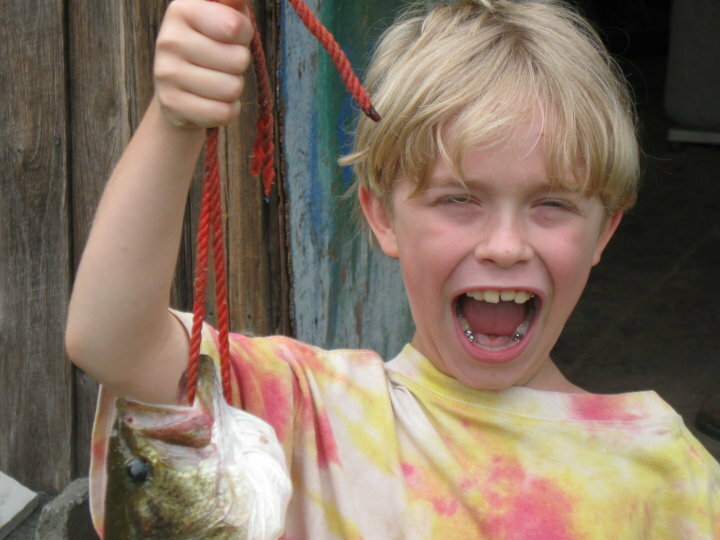 So i toddled down to the pond to find my son, his fishing instructor and a 17.5″ wide mouth bass. Trout (who is a member here) informed me that Willow had caught the fish on his very first casting of the day. Apparently, this is not unusual for Willow. 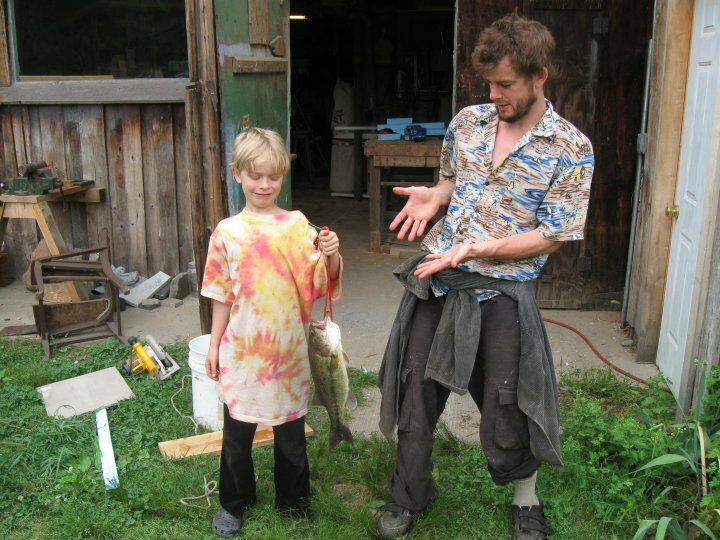 While i was there, Willow caught another fish that he knew was too small before he even reeled it out. Trout used the pliers while Willow held it and then threw the happy to be released fish back in or tiny pond. As therapy for me it worked brilliantly. My son was pleased and proud of his accomplishment. i ran around and got a camera to take a couple of shots. Trout agreed to cook the fish that was served at the community dinner and Willow got to take some of the time he spent catching it as labor credits – which made him doubly happy. Willow is quite the accomplished teacher as well as therapist. Perhaps next he will tackle rally-car driver.